Vezi Acum Miraculous: Tales of Ladybug & Cat Noir S01E06 - Mr. Pigeon Online Subtitrat in romana calitate HD. Miraculous: Tales of Ladybug & Cat Noir S01E06 - Mr. Pigeon este un episod lansat pe 23 octombrie 2015 super! Vezi acum online gratuit! There is a fashion competition being held at Marinette's school and it says that winner of the competition will have their hat worn by none other than Adrien. Excited, Marinette is determined to win in the hope that Adrien will then notice her. Meanwhile Xavier Ramier, a pigeon-loving man, is told off by a policeman not to feed the pigeons and is told to leave the park. 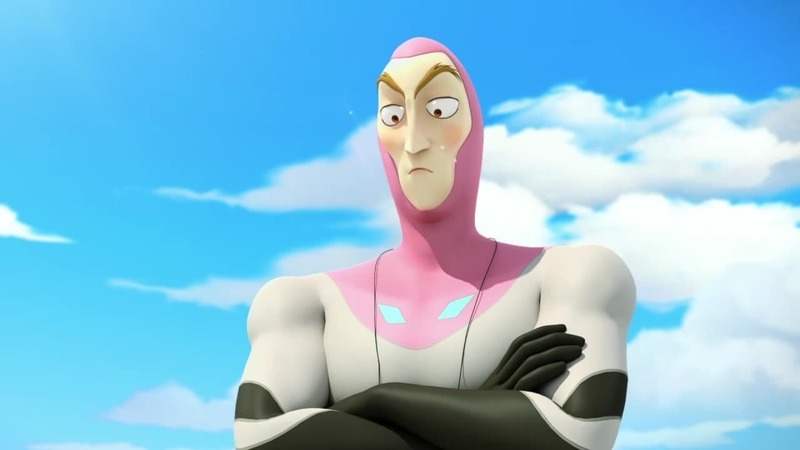 Feeling dejected, Xavier becomes influenced by Hawk Moth and turns into 'Monsieur Pigeon', a villain who has control over pigeons. Distribuie sau scrie parerea ta despre episodul Miraculous: Tales of Ladybug & Cat Noir S01E06 - Mr. Pigeon.